For the latest updates on the Nashville Early Music Festival, please go to our Facebook page. Click here! The lute derives its name, as well as its distinctive shape, from the Arabic ‘ud, an instrument which is very much at the heart of Arabic musical life to this day. The lute arrived in Europe in the Middle Ages, likely during the Crusades. 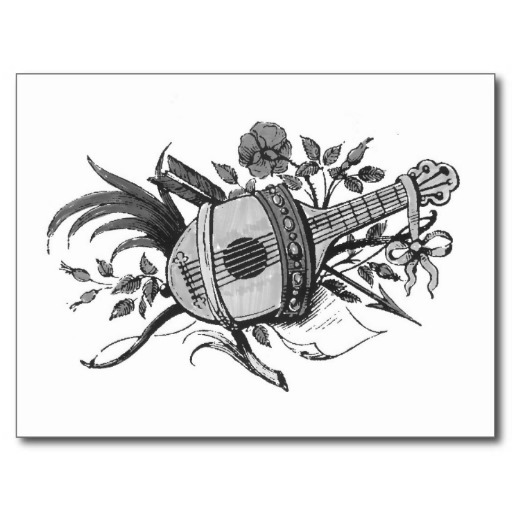 Throughout the Medieval period the lute was played with a quill plectrum. This limited the kind of solo music that could be performed, so the lute was often played as accompaniment to other instruments. It wasn’t until the late fifteenth century that the lute became a more prominent solo instrument. Players discovered that the lute could be played with the fingertips as well as the quill. A system of tablature was invented and changes to the instrument itself took place, such as the addition of the sixth (bass) course and an elongated body. The evolution of the instrument led to it becoming the most important instrument for secular music during the Renaissance. 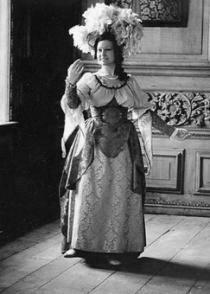 It maintained its popularity until the 17th century, when the symphony orchestra gained eminence. Today, the lute is enjoying a revival due to an increased interest in early music. The viola da gamba, literally meaning viol on the leg in Italian, is a member of the viol family. The instrument is played upright between the legs with a bow like a cello. Although the viol looks similar to the cello, there is no relation. The viol has a flat back, six strings, and frets, setting it apart from other string instruments. This instrument first appeared in the 15th century as an ensemble or consort instrument. It was – and still is – one of the most popular Renaissance and Baroque instruments. Like the lute, the viola da gamba lost its popularity around the 17th century, then gained recognition again in the 20th century with the rise of interest in early music. It is not unlikely that the Western-style recorder has been familiar to you for many years, perhaps since childhood. In Western society, the plastic version of this early instrument is ubiquitous in elementary school music programs. The recorder is one of the first early instruments to appear in paintings and cathedral carvings, with illustrations of the instrument that date to the 11th century. In Medieval times, recorders were fashioned out of wood or bone and were more simply constructed than their modern counterparts. The Renaissance saw the emergence of recorder “choirs” of varying sizes and greater complexity. However, it wasn’t until the Baroque period that the recorder underwent changes that made it into a solo instrument. Its range increased to two octaves and a fifth, and its tone became more powerful and expressive. The instrument enjoyed immense popularity in the 17th century as both a solo and a chamber instrument. Eventually the recorder was overshadowed by the flute as a professional instrument, and since the 19th century it has been played and performed mostly by amateurs. However, the increased interest in early music has revived old styles of recorders and the more serious recorder repertoire. Of all early instruments, the voice is surely the earliest. Humans have been using their vocal chords to communicate and to create music since before the written – or even the spoken – word. In the Western early music tradition, vocal music is inextricably linked to sacred music. Much early vocal music was monophonic, but as time passed many composers started experimenting with polyphonic arrangements. Hildegard von Bingen, Leonin, and Perotin were some of the first Western composers to experiment with polyphonic vocal music. By the Renaissance, polyphony dominated vocal music, and secular music began to rise in popularity with the madrigal. Baroque vocal music continued to become increasingly secular, with the invention of the opera and its immense popularity. Guillaume de Machaut (1300-1377) wrote many substantial and historic works in medieval France. A poet and composer, Machaut is known for his complete setting of the Ordinary of the Mass, the Messe de Nostre Dame. Josquin des Prez (1450/1455 – 1521) was a Franco-Flemish composer famous for his sacred as well as his secular works. Josquin’s life is shrouded in mystery and this makes him a favorite among scholars working to decipher his life. Hildegard von Bingen (1098 – 1179) is one of the first European composers about whom we have significant biographical information. Bingen was a Benedictine abbess and a prolific composer of sacred works. She also wrote extensively on theology, botony, politics, and medicine. Stay up to date with the Nashville Early Music Festival by following our Facebook page, here.